So this was then, April 20-something. This is now, 8 weeks later, June 20th. bud on the end did push. 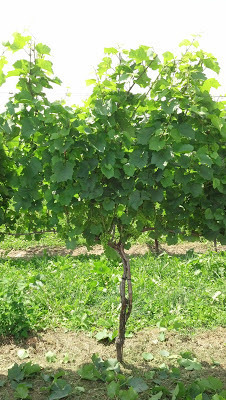 This is the whole vine, and it has been thinned and lightly hedged. ﻿﻿That is remarkable growth. From a couple inches to over 4-5 feet in length in a matter of 8 weeks. 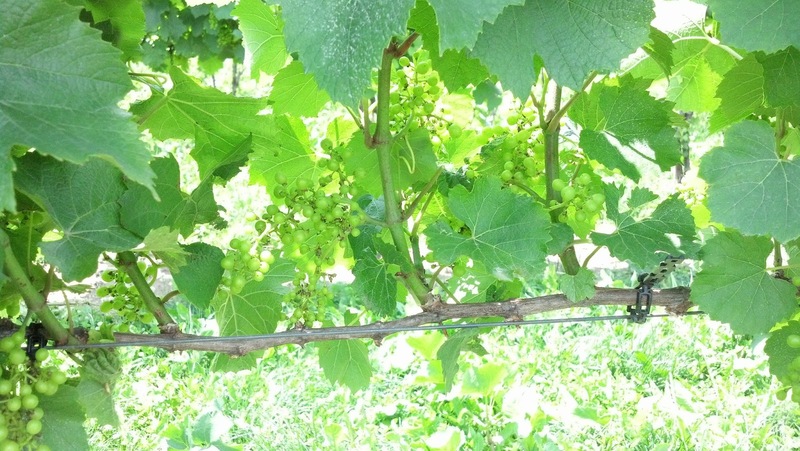 Chardonnay is an early grower and usually first to be harvested followed shortly thereafter by Pinot Gris. 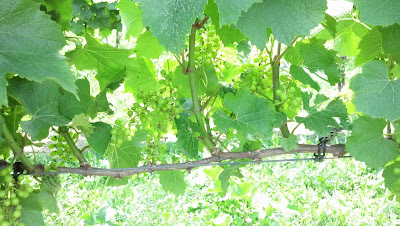 From this vine above you can see a couple things: there are small berry clusters. 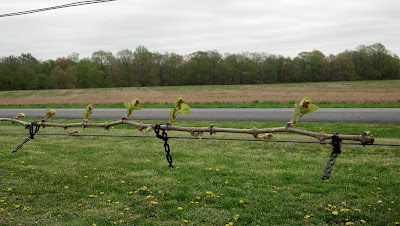 We are just a couple weeks past bloom and into the fruit set phase of growth. 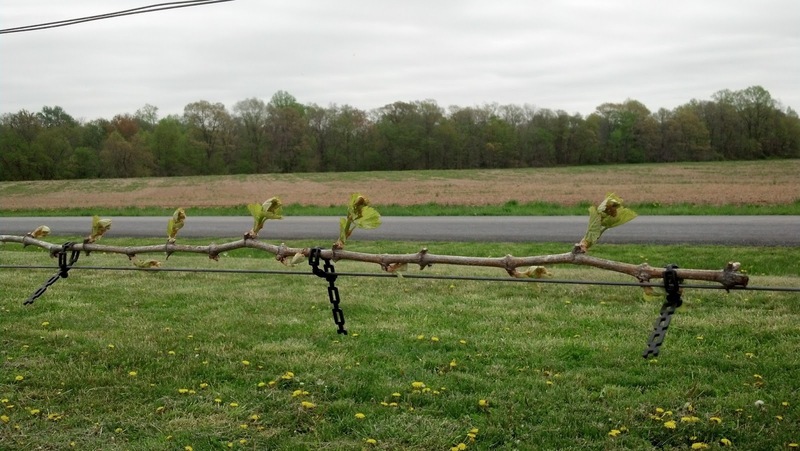 Once we have finished tucking vines into the catch wires, we will begin leaf pulling on the east side. We use the "sombrero" method of leaf pulling - leaves are removed from around the cluster except the one above it, leaving a hat or sombrero as a cover from direct overhead sunlight. Leaf pulling opens up the canopy allowing sunlight and air flow more directly around the cluster which lessens disease and improve ripening. You can see above the leaves I pulled on the ground in order to take the picture. In roughly 8 more weeks, we should be mid way through veraison which is when grapes turn purple unless they are white grapes, in which case they turn a more golden color and soften. So if i don't get around to do a July pic of the chardonnay, I will feature veraison.